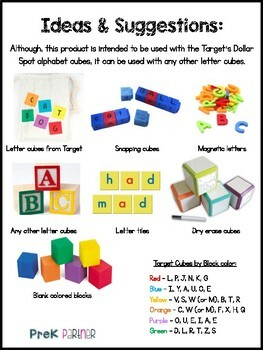 Although, this product is intended to be used with the Target's Dollar Spot alphabet cubes, it can be used with any other letter cubes. 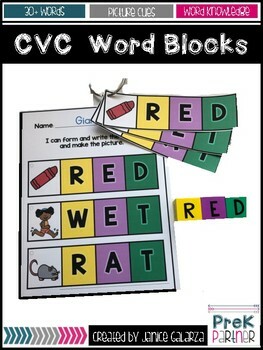 This product includes 32 CVC words cards with visual cues. This activity is perfect for small groups or to place in the writing center to use independently.